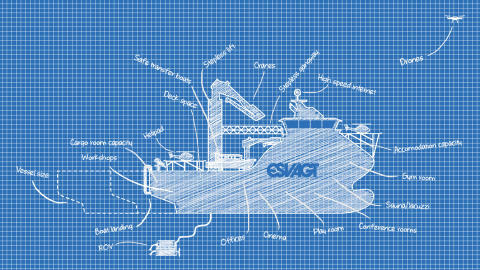 An ESVAGT SOV can be customised to meet all demands in offshore wind parks. ESVAGT’s SOV concept, with service vessels permanently stationed in offshore wind parks, streamlines operations on offshore wind energy farms by combining a range of solutions into one single concept. "The SOV is a tool that makes it possible to perform a wide range of tasks efficiently, safety and operationally economically. An SOV serves both as a base and office for technicians, who also enjoy access to a fully equipped workshop and stores. Should the customer choose to equip the vessel with a Safe Transfer Boat (STB12 or STB15), the crew also gains a Daughter Craft with room for at least 8 passengers that is also approved for sailing into port for crew changes or for collecting goods or spare parts. SOVs with Safe Transfer Boats make external CTV solutions superfluous and wind turbine farm owners can also reduce expenditure on base operations and warehousing significantly," says Rune Østergaard. "The SOV offers a wide scope for flexibility and options for additions or reductions: Walk-to-work boarding system, helideck and the choice of Safe Transfer Boats from STB7 to STB15 as well as cranes in various sizes. 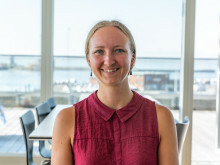 There are concepts for ROV and drone inspections - and we have yet to hear of a need that the SOV has not been able to meet," says Rune Østergaard.